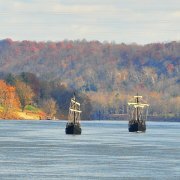 Two replicas of Christopher Columbus' ships sailed down the Ohio River Tuesday, Nov. 13, discovering Huntington. 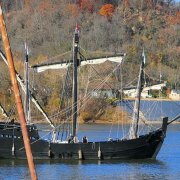 The Pinta and Nina will be docket at the Huntington Yacht Club at Harris Riverfront Park. 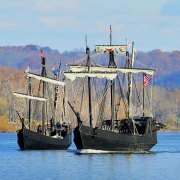 They will remain in port through Tuesday, Nov. 20. 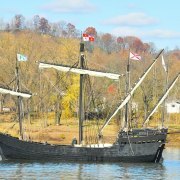 The ships open to the general public on Wednesday November 14th. 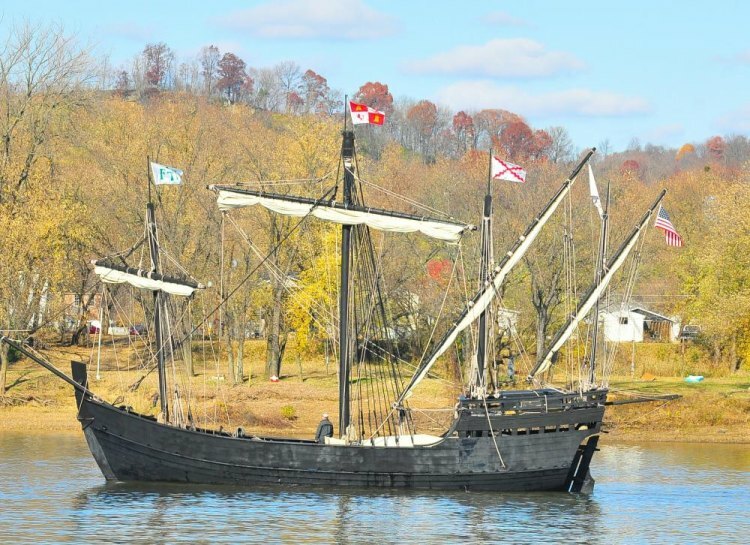 The Nina was built by hand, without the use of power tools and considered to be the most historically correct Columbus Replica ever built. 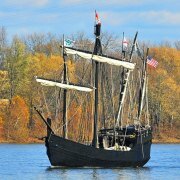 The Pinta was recently built in Brazil and is a larger version of the archetypal caravel. Historians consider the caravel the Space Shuttle of the fifteenth century. While in port, the general public are invited to visit the ships for a walk-aboard, self-guided tour. Admission charges are $8.00 for adults, $7.00 for seniors, and $6.00 for students 5 – 16. Children 4 and under are Free. 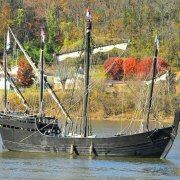 The ships are open every day from 9:00 a.m. to 5:00 p.m. No reservations necessary. Teachers or organizations wishing to schedule a 30 minute guided tour with a crew member should call 1 787 672 2152 and leave a message. Minimum of 15. $5.00 per person. No Maximum. Visit our website at www.thenina.com OR EMAIL columfnd@surfbvi.com.